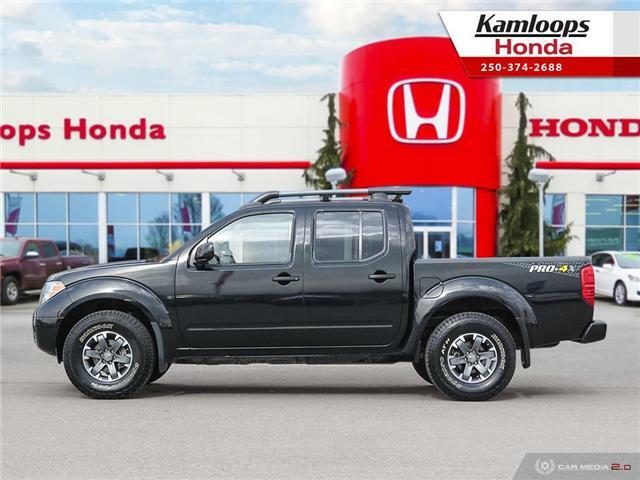 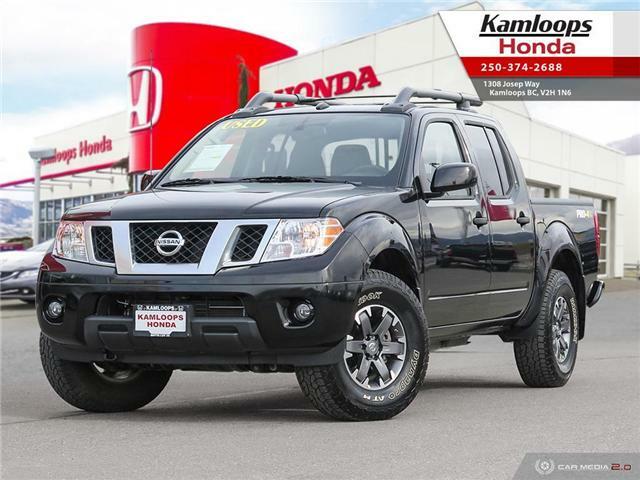 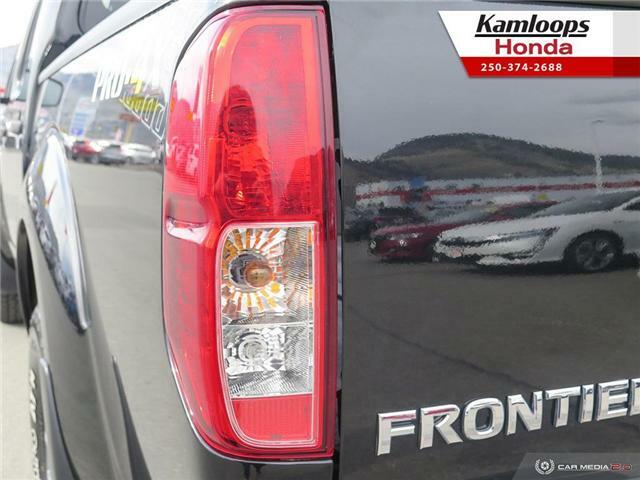 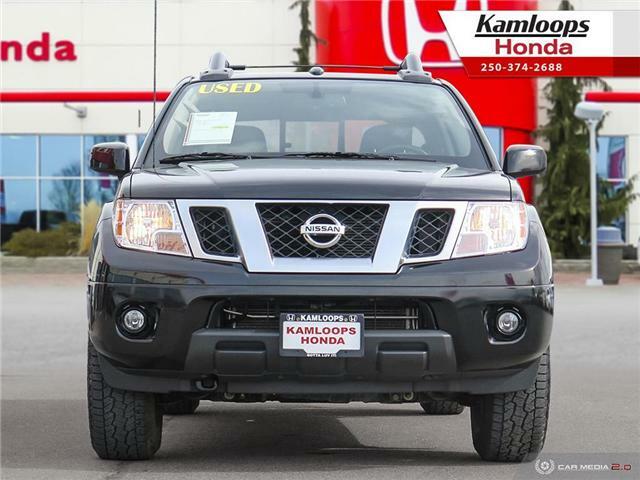 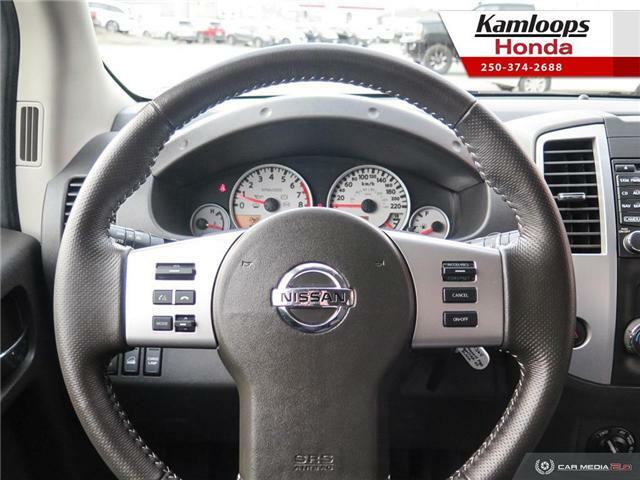 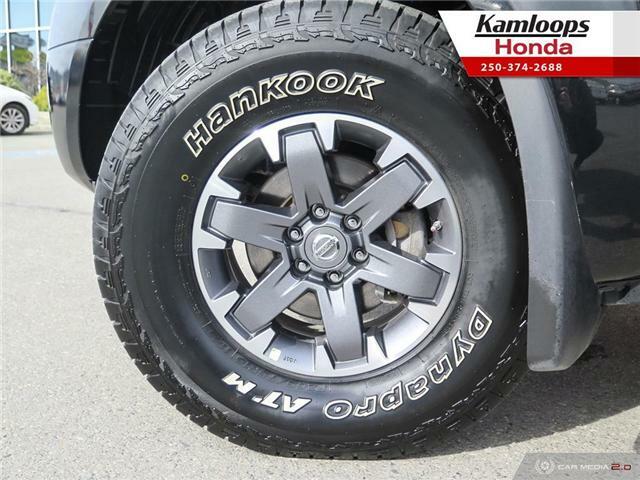 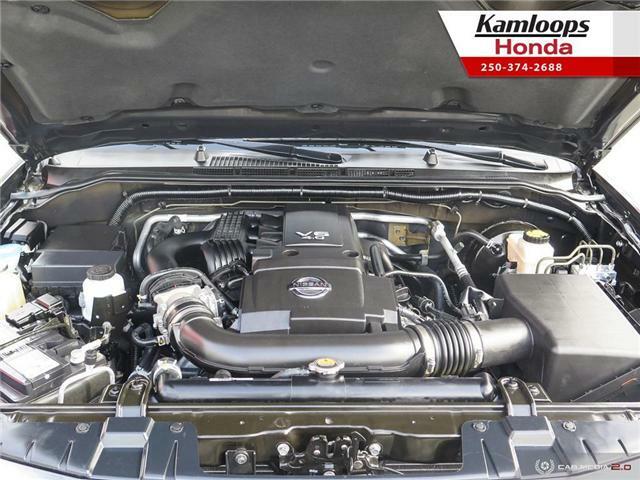 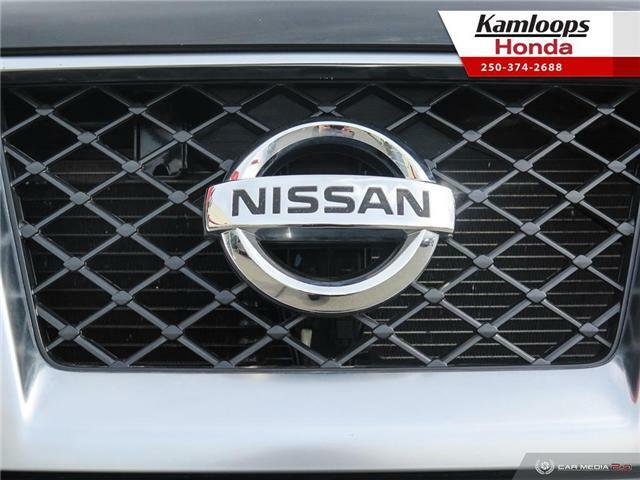 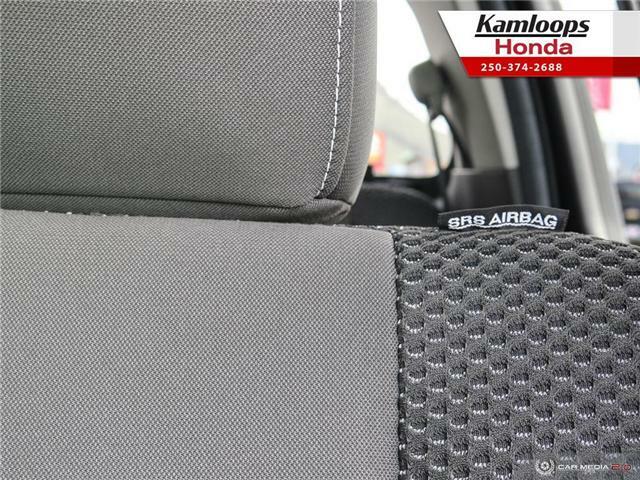 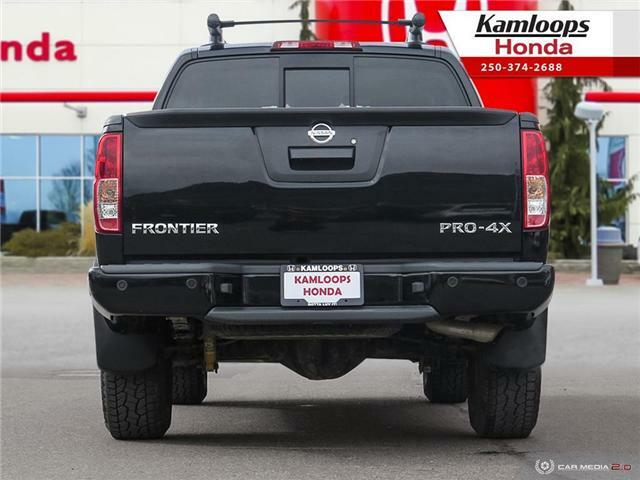 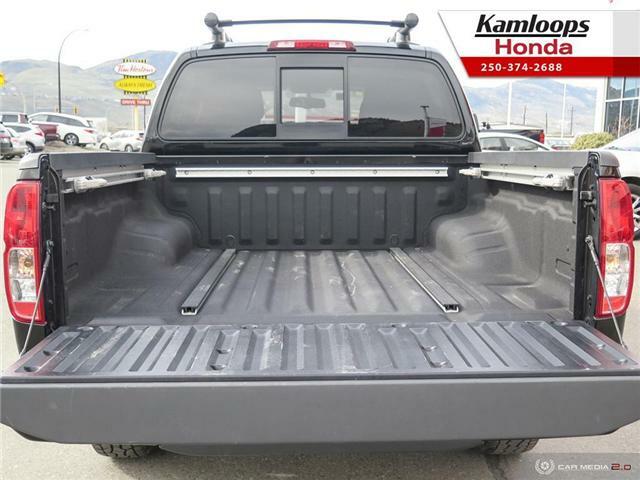 This 2019 Nissan Frontier has an almost like-new Magnetic Black Metallic exterior and grey PRO-4X fabric interior, and sports a 4L V6 automatic engine with only 9,200km on it! 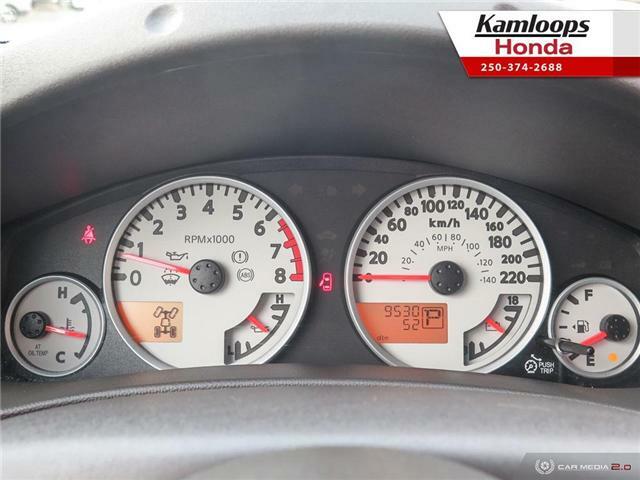 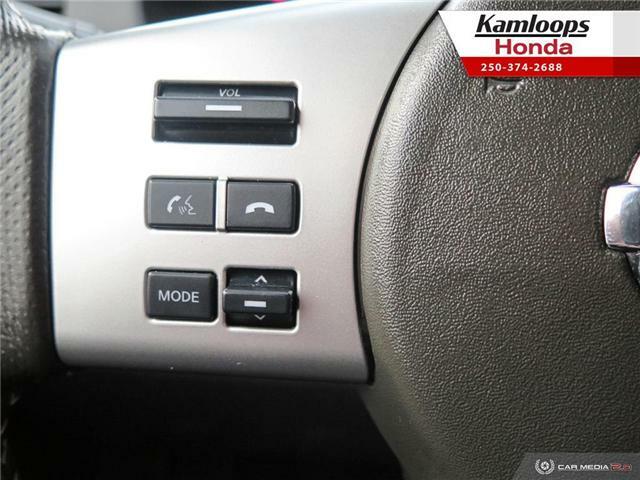 Not only does it have low km it is also a one owner accident free vehicle! 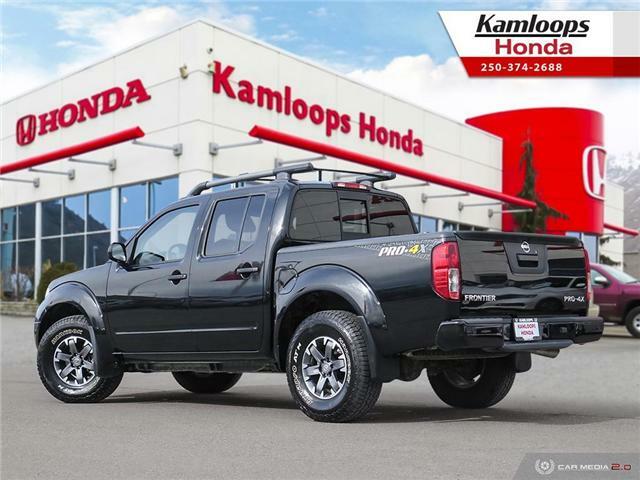 For peace of mind our Honda certified technician completed a full multipoint inspection to ensure that this 2019 Nissan Frontier is in good mechanical condition. 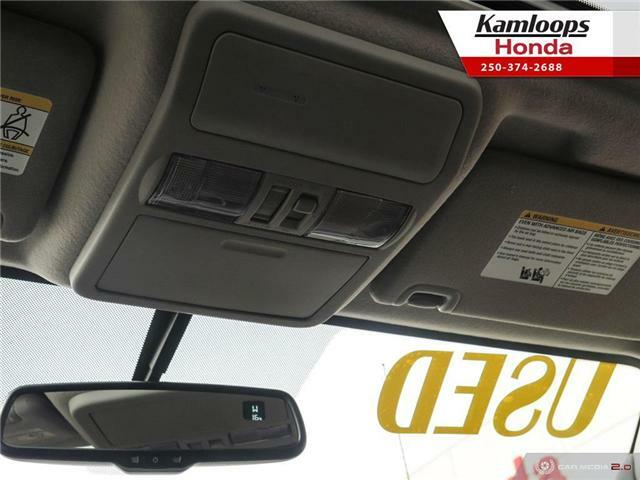 During the multipoint inspection the engine oil/filter is changed, all the brakes are serviced, and the tires are inspected for unwanted ware. 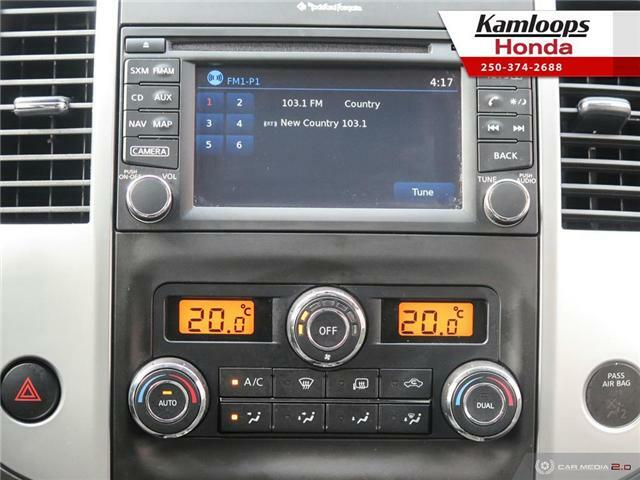 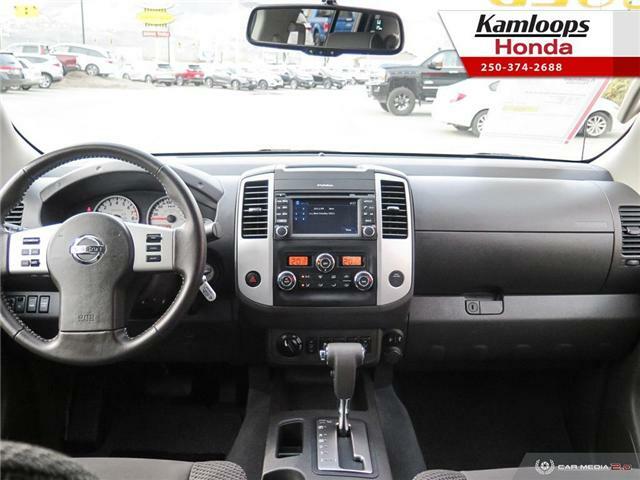 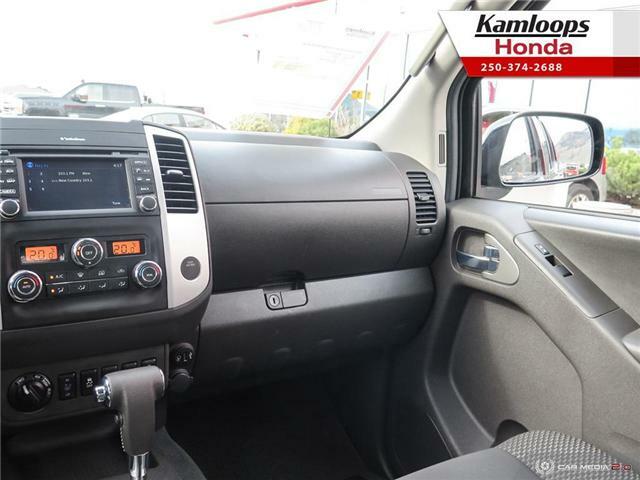 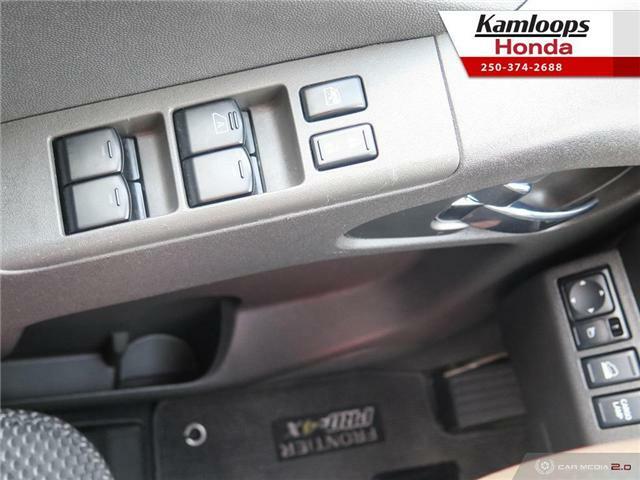 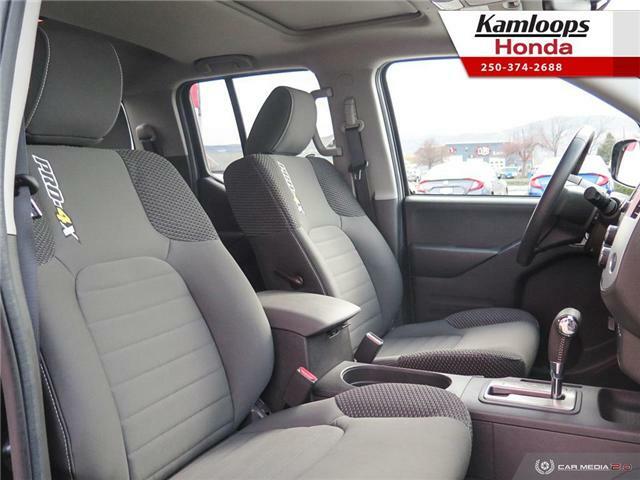 Some of the features that this 2019 Nissan Frontier has are, Heated seats, Sirius XM, rear-view camera, Bluetooth, steering wheel mounted audio/cruise controls and so much more! 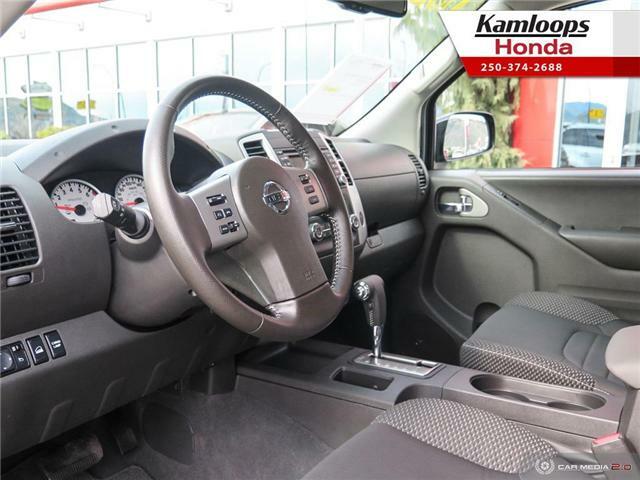 Interested in this 2019 Nissan Frontier? 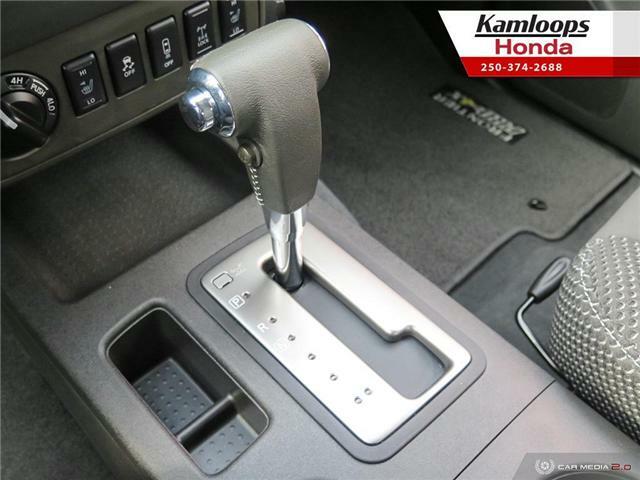 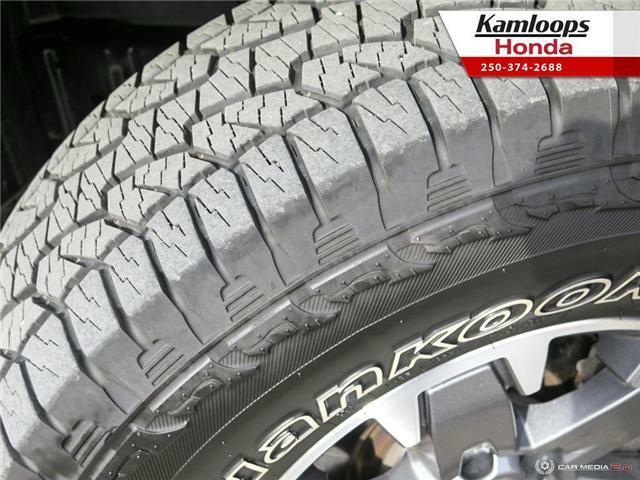 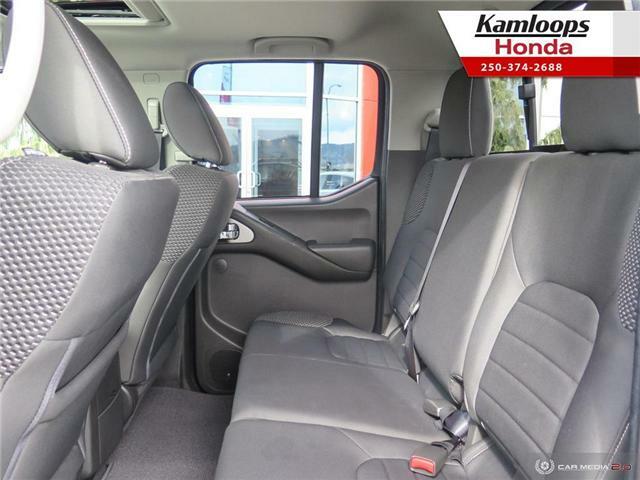 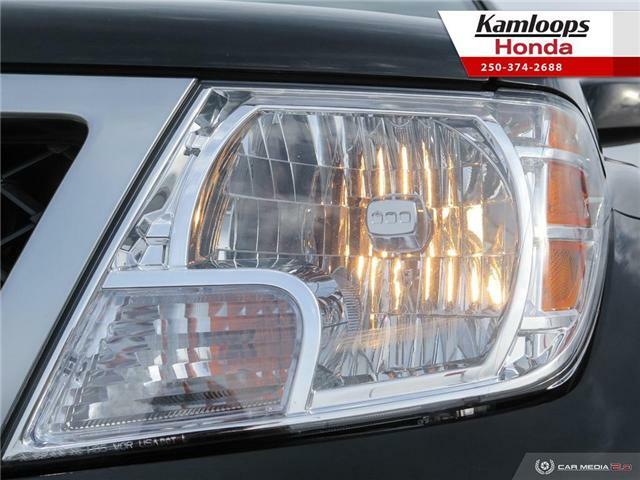 Visit us at 1308 Josep Way or give us a call at 250-374-2688 to book a test drive today!